Greenwood, Indiana was home to around 50,000 people as of the most recent census. Greenwood is considered to be a suburb of southern Indiana and it is close to Indianapolis so many people can commute. Greenwood is located in Johnson County, and Johnson County residents can get help they need preparing for their future and planning ahead in case of injury and illness from the elder law attorneys at Frank & Kraft. Elder law attorneys do not just provide advice for people who are older. We provide help to people of all ages. Whether you want advice on retirement planning or making sure your young family is provided for if something happens to you or preparing for end of life issues, we can provide the assistance and support you need. We help you to create a plan that’s right for your life stage and to make effective use of the legal tools necessary to implement that plan. If you are ready for personalized one-on-one assistance, you should reach out to Frank & Kraft today for help. You can also review some elder law resources we have assembled below to help you better understand the field of elder law and why it is so important for you to get help making your plans from an elder law attorney. As you get older, you may need to take advantage of many different kinds of services. You may need help getting around, getting meals cooked for you, or simply staying social and remaining connected to your community. Johnson County Senior Services is one of the most important resources available to you as you are getting older. You can find out about transportation, medical equipment, senior food pantries, social events, and other services that the county provides to seniors. Frank & Kraft can assist you in exploring options for benefits through the county and also in determining if you might qualify for other comprehensive benefits such as VA coverage. By taking full advantage of benefits, you can enhance your quality of life and remain independent as long as possible. Probate courts preside over the transfer of assets when someone has passed away and assets transfer through a last will and testament or transfer under intestacy law. Probate courts also preside over proceedings where a guardian or conservator is named for an incapacitated person. The Johnson County Probate Court site: This website provides information on the court as well as local court rules so you are prepared when you must file paperwork with the court or attend hearings. The Johnson County Clerk of the Courts website: You can use this resource to find out the contact information for the court and to better understand how the court works. You will also be able to learn how probate or guardianship proceedings unfold. The Indiana Probate Code: Title 29 contains the probate court for the state. There are four different articles addressing different issues including general laws related to probate as well as guardianship proceedings. Getting the right help is important before going to probate court because there is often a lot at stake. Whether you are concerned about an inheritance or are worried about the right guardian being appointed for an incapacitated loved one, you want to be prepared to make compelling arguments to the court and back up your case. 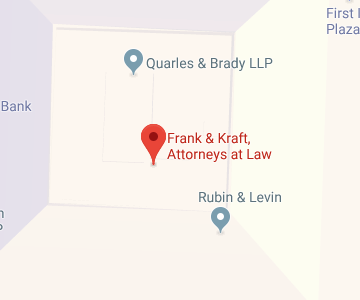 Frank & Kraft can help. One of the most important services that an elder law attorney provides is helping you with asset protection. Protecting your wealth involves keeping your assets safe from all potential sources of loss. One of the biggest sources of loss if you get old or sick is high nursing home care bills or high costs of long-term care at home. The Medicare website for Indiana: This site is important because it addresses coverage limitations of Medicare. Many people think Medicare will cover all their essential healthcare costs as a senior but this isn’t true. Medicare doesn’t cover many things, including nursing home care. Coverage limitations and other Medicare information can be found at this resource. The Medicaid website for Indiana: If you require nursing home care, you probably will need Medicaid to pay for it so you need to understand eligibility rules and requirements. Medicaid is means-tested, so getting benefits can be hard unless you work with an experienced attorney at Frank & Kraft to make a Medicaid plan. An elder law attorney assists you in finding ways to structure ownership of assets so the wealth you have – which you likely wish to pass on to the next generation — will not have to be lost in order for you to qualify for means-tested Medicaid. If you need Medicaid for a nursing home or to help cover other expensive care costs, it will be very important that you have an advanced Medicaid plan in lace. While these resources help you to learn more about life in Greenwood, Indiana for seniors and give you a jumping off point to better understand what elder law attorneys do and how they help you, there is no substitute for personalized advice specific to your situation. If you live in or around the Greenwood area and you want help and support in making your plans for the future, Frank & Kraft is here. You can join us for a free seminar to find out about the assistance we can provide to you as you plan for incapacity, make a retirement plan, make a plan to protect your family or create your legacy plan . You can also give us a call at 317-684-1100 or contact us online to get personalized help and find out exactly what we can do for you.